The Triumph Spitfire is a consummate classic, with a huge and passionate following around the world. 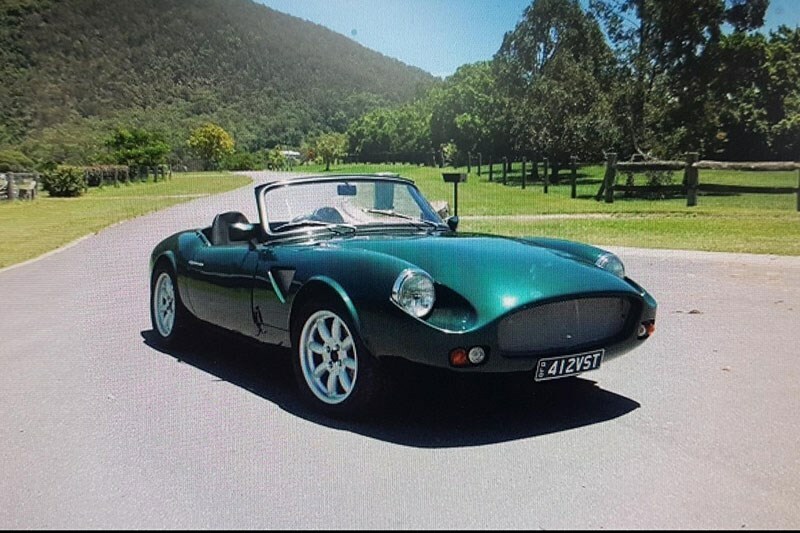 A classic British roadster with rev-happy small-displacement engines, Triumph pioneered sporting motoring as an affordable and attainable dream to the masses. For those looking for a touch more modernism from their classic roadster, a small English company began creating bespoke replacement bodies in 1983. These re-bodied Triumphs were originally named the Vincent Hurricane, and the Hurricane program still exists today, though ownership has since been taken on by Caburn Engineering. From the rear, the Hurricane body looks something like an old Ferrari, and the front – almost Aston-like. This 1968 Triumph appears to be based upon the GT6 chassis, which was marketed as a Le Mans-bred GT car, with a higher output engine. Bearing a 2lt straight-six under the bonnet, and a four-speed transmission with (the highly desired) two overdrive gears: the car also boasts twin Mukuni carburettors, and 15 inch alloy wheels. This is believed to be the only Vincent Hurricane bodied Triumph in Australia, and is eligible for club reg. Those after a classic British roadster, here’s one that will stand out at any Triumph show! The car is on offer from Sleekline & Classique in Victoria, for a listed $27,500 with RWC. All-original and reportedly in “showroom condition”. Chrysler brand not dead – but worse? The recent sale of a Ferrari GTO with a great race history has set a new benchmark.